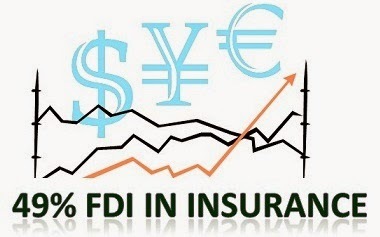 Two private sector insurance players - Exide Life Insurance Co Ltd and Magma HDI General Insurance Co may not seek foreign direct investment (FDI) flowing into their companies anytime soon even if the long pending Insurance Laws (Amendment) Bill, which proposes raising FDI ceiling to 49 per cent, is passed. “We are well-capitalised and not looking at any investments through FDI route in our businesses in the short term. However, in the long term, Exide Industries intend to induct a new foreign shareholder,“ said Exide Life Insurance MD and CEO Mr. Kshitij Jain. While Banglore-based Exide Life Insurance Company is fully Indian company with 100 per cent holding owned by Rahejas-controlled battery maker Exide Industries, Magma HDI General Insurance is 74 per cent stake owned by Magma Fincorp with remaining 26 per cent being held by Germany partner HDI-Gerling Industries Versicherung. The Modi-led NDA government has said that it will table Insurance Laws (Amendment) Bill in the current session of the parliament. The foreign investors are waiting for the bill to be passed.